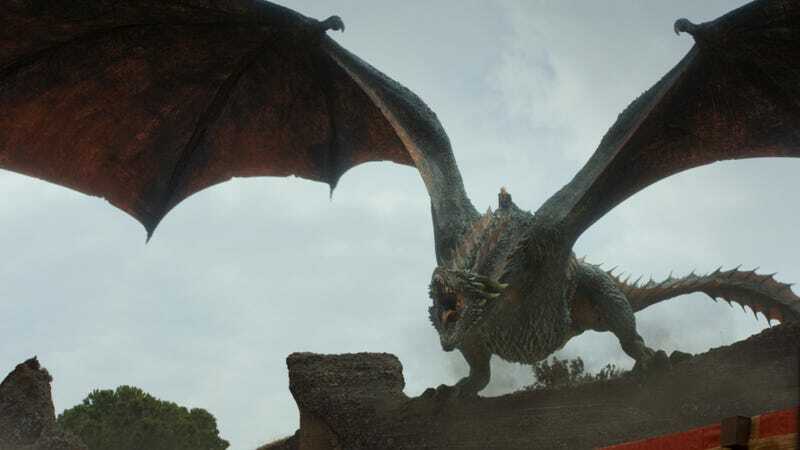 As is usually the case, Game Of Thrones info has been making its way off the set, or would be, if production on the final season had even begun yet. Instead, we’re getting dispatches directly from HBO’s higher-ups, with network president Casey Bloys telling fans that multiple endings will be filmed for the upcoming series finale in an effort to prevent spoilers. Now Entertainment Weekly reports that the directors for the six remaining episodes have been announced, and the list is full of veteran Thrones helmers. There’s Miguel Sapochnik, who won an Emmy for his work on “Battle Of The Bastards” and “Winds Of Winter,” and fellow Emmy winner David Nutter, who’s directed multiple episodes, including “The Rains of Castamere,” which had the worst wedding ever. The number of episodes fan favorites Sapochnik and Nutter directing are unknown at the moment, but the finale is being entrusted to David Benioff and D.B. Weiss. Given that Bloys has stressed how important it is to get the series capper right, it makes sense that Benioff and Weiss would step up to direct it. Production on the eighth and final season of Game Of Thrones begins in October, but a premiere date announcement is probably still months away.